A lot is happening in the area of immigrant rights and immigration law in the state of Michigan and nationwide. We thought it would be helpful to summarize some of these issues. On Monday April 18, 2016, the U.S. Supreme Court heard oral arguments in the case in which Texas (and 25 other states) are challenging President Obama’s implementation of two programs that he announced in November 2014. 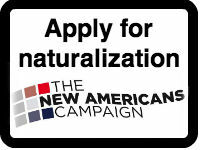 The Deferred Action for Parents of Americans (DAPA) program could provide temporary deportation relief and employment authorization to undocumented applicants if they (1) have lived in the U.S. since January 1, 2010, (2) had a U.S. citizen or Lawful Permanent Resident son or daughter on November 20, 2014, and (3) are not an enforcement priority for removal. The President also proposed expanding the Deferred Action for Childhood Arrivals (DACA) program that started in 2012. The expanded program could provide temporary deportation relief and employment authorization to undocumented applicants if they (1) entered the U.S. before age 16, (2) have lived in the U.S. continuously since January 1, 2010, (3) are of any age (removes the current requirement to have been born since June 15, 1981), (4) are not an enforcement priority for removal, and (5) meet certain education requirements, such as being currently in school or have completed high school. The Supreme Court will issue a decision by the end of June. Since this case involves the federal government challenging an injunction issued by the federal district court, a 4-4 tie would keep the injunction in place. The Migration Policy Institute estimates that as many as 3.6 million unauthorized immigrants could potentially benefit from the DAPA program, including 30,000 in Michigan. Nationwide, estimates for the number of farmworkers and family members who would benefit from both programs range from 703,000 to 784,000. Senate Bill 501 could impose additional requirements on drivers from 121 countries around the world who come to Michigan. Since the 1940's, the United States of America has been a signatory to two international treaties that permit the citizens of all 122 signatory countries (including the U.S.) to drive in the other signatory countries if the driver has a valid driver's license issued by his or her home country. - Add a requirement that the driver carry a valid passport or a valid visa that was issued by the country in which the driver’s license was issued. - Add a requirement that the driver carry proof of legal presence in the U.S. Neither of the above requirements currently exist in the law for foreign drivers. Section 302a is not currently applied to drivers from the 121 countries that have signed the two treaties, as the law currently only discusses the process by which the Michigan Secretary of State can grant reciprocal driving privileges to citizens of other countries. The formal grant of reciprocal driving privileges is not necessary for the 121 countries as the international treaties themselves grant driving privileges. However, the current wording of SB 501 adds the new documentation requirements to drivers outside of the Secretary of State's process of reciprocal driving privileges, which means that it would technically apply to all foreign drivers. Not only would the citizens of 121 countries face a new requirement to carry additional documentation, the law implies that someone would have to determine that the documentation is "valid." MIRC sees that the only logical conclusion is that a police officer who stops a foreign driver would be tasked with determining whether the license and other documentation are "valid." As a result, foreign nationals traveling through Michigan - whether they are here as tourists, here on business working for a multi-national company, or for any other reason - would find themselves at the mercy of whatever training or verification system that the state, county, or local municipalities have decided to use to satisfy this new requirement. In order for citizens of the 121 treaty countries to not face these new and additional burdens, SB 501 would have to add a provision that indicates that it does not apply to drivers from signatories of the two international treaties. In the alternative, removing the references to a visa and to verification of legal presence, while maintaining the passport requirement, would accomplish the goals of allowing more foreign drivers to drive legally while giving police officers an additional tool to confirm the driver’s identity. The current status of the bill is that it was voted out of the House Transportation and Infrastructure Committee on March 22, 2016. If the full House passes it, it would move back to the Senate, since the Senate passed a different version of the bill. In March 2016, Representative Runestad introduced HB 5528 and HB 5529. The bills largely require compliance and reporting already required by federal law, regulation and contracts with local nonprofit organizations. The bills focus on refugee resettlement agencies reporting to the Michigan Department of Health and Human Services (DHHS) and state Office of Refugee Services (ORS) regarding the services they are providing, where refugees and unaccompanied minors are being resettled, and money received from federal and state contracts. DHHS and ORS in turn would be required to provide annual reports to the legislature. The bills also require refugee resettlement agencies to report incidents of human trafficking or national security threats to DHHS/ORS and the state departments to report such information to the state police.